Declared to be at 2000km from Burundi in May 2018, Ebola virus is reported to be at less than 400km this August 6, 2018. Health professionals in Burundi are deeply concerned. Dr Kazadi Mlombo Walter, WHO representative in Burundi, says risks to see the Ebola virus spread to Burundi is increasing. 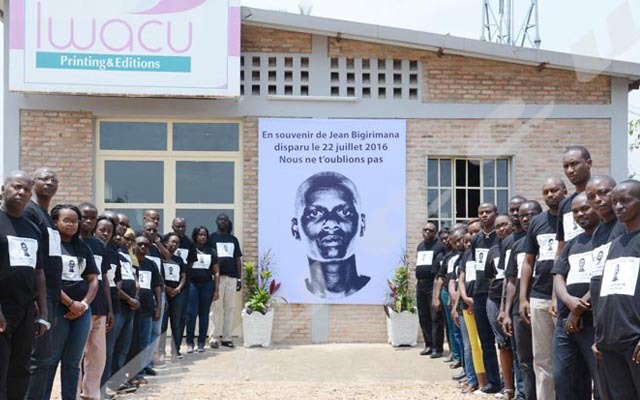 “On August 4th , 76 cases were registered in North Kivu and Ituri in the DRC. The concerned region is located at less than 400 km from Burundi. There are direct flights and taxis that connect Bujumbura to Goma and regular flights and buses from Beni to Goma,” he says. He says according to an evaluation that was made in May, Burundi is most exposed today. “The evaluation of the outbreak risk of Ebola in Burundi was carried out in May 2018 and the virus was reported at 2000km from Burundi as the crow flies. Now it is reported at 400km,” he says. He also says there are regular movements of people between Burundi, Rwanda and Uganda and the last two countries share the borders with the affected regions of the DRC. “There are free movements of people from Rwanda or Uganda to Burundi. While Uganda and Rwanda are highly exposed to get affected as they have borders with the concerned regions, Burundi is not immune to the virus”. Mlombo says it is very important to alert the population so that they can know beforehand about the characteristics of the virus and how they can prevent it. Thaddée Ndikumana, Minister of Health, says there are already available materials to deal with the epidemic if it occurs. He says the most essential thing to do now is communication. “There is a need of effective communication and sensitization of the community. They need to know what Ebola virus is, its symptoms and how they should communicate with health professionals if there is any suspicious case”. Ndikumana says there are sensitization campaigns that are going to be run for community health workers. He also says tutorials on first signs, transmission and how to avoid the virus will be translated into Kirundi and broadcast on media. He calls on Burundians to directly seek health professionals’ advice if they see any abnormal sign and avoid self-medication or witchdoctors. He also calls on them to reinforce hygiene in their daily life. Burundi does not yet have a device to test the Ebola virus. Health professionals now use a thermoflash (an instrument for measuring temperature) and if there is a suspicious case, the trained doctors do tests and send them to Uganda for verification. The minister of health indicates that this device will be available in Burundi soon.